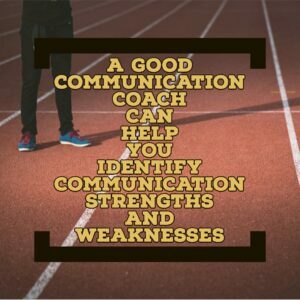 A good communications coach (formal or informal) can help you identify communication strengths and weaknesses. Years ago, I was having coffee with a colleague. He mentioned that he had just had a session with his "personal coach." During the session this coach helped him lay out, in pretty good detail, some strategic goals that he should be focusing on. Between us, the whole discussion seemed weird to me. Honestly, I thought that this "coach" was most likely a con-artist. I had heard about these people who had never really accomplished anything in their lives, but paid for some weekend certification to become a certified life coach. After he mentioned his session, I, in my sarcastic way, told him, "Man, I could have told you that for free." It's funny because I guess I'm a skeptic by nature. So, if you are trying to sell me on the value of something new to me, you'd better have some solid proof. Interestingly, just six years prior to that conversation, my communications coach had helped me increase my financial success by almost double. I just didn't realize that she was a "communications coach." I had been working for an oil company and at the time, the price of oil was at rock bottom. So any chances for me to advance were slim. In fact, my company had just started laying off people and I was one of the last guys hired. I had spent four years getting a university degree that was specific to the oil industry. I was terrified about what I was going to do for a living. Out of desperation I ended up taking a three month leadership development course. The instructor for this course was not a fly-by-night teacher who gained her experience from a seminar. Instead, she was a highly successful business person who had also trained with some of the most successful entrepreneurs in the area. Her instruction was able to shave years off of my learning curve. In fact, less than a year after finishing her leadership class I changed careers and quickly promoted into management. I was making more money in my monthly bonus checks than I had ever made at the oil company. The funniest part about the conversation I had with my colleague was that, if I had never met this leadership coach, I would not have ever been at that table having coffee in the first place. Yeah, woo hoo, Doug. You took a class, and you made more money. What does that have to do with me? In fact, why is effective communication important, anyway? Well, the answer is simple. In the business world (and in life), when everything else is similar, the person who communicates better is always more successful. To go even a step father, in most cases, a fantastic communicator with lesser skill will be more successful than a poor communicator with an exceptional skill. Think about how many times you hear people say things like, "I know way more about our business than my boss does." In many situations, that is absolutely true. The higher up on a corporate ladder that you go, the less likely you will find people skilled in the day-to-day operations of the company. You are more likely to see people who are effective at leading others and communicating well. I remember when I was about 12 years old and I was helping my dad remodel a I-Hop restaurant. One of the waitresses came by and sat in one of the booths near the kitchen. I noticed that she was organizing her tip money. She pulled bills from every part of her apron, every pocket on her uniform, and even a couple of places where I had to quickly look away to keep from being embarrassed. That amount of money to a 12 year-old kid seemed enormous. As we were driving home, I mentioned to my dad what I saw. I was estimating that she likely made two to three hundred dollars in tips in just eight hours. My dad, laughed, and said, "Yeah, I think it was kind of a slow night for her." My dad's friend owned the restaurant and my dad had known this waitress for years. She averaged over $50,000 per year in 1984 (that is about $120,000 in today's money). The only difference between her and the other waitresses was the way she communicated and treated other people. By the way, it is the same in every industry. 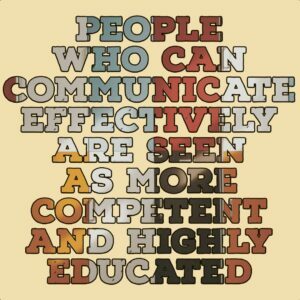 People who communicate well are seen by others as being more competent and well educated. What Exactly is a Communications Coach? Where Do I Find One? After being in the training industry for a few decades, I have realized that there are a couple of different types of coaches. There are formal communications coaches and there are also informal communications coaches. For instance, when I have what I think is a fantastic idea I typically run the idea by my wife or my assistant first. Not every fantastic idea is a gem. In fact, many are often duds. So, a quick "run through" with an independent third part can often be pretty helpful. We actually made this a part of the Fearless Presentations ® class. When we help out class members create presentations in class, the last step is typically to have them run through the presentation with a partner. This helps them clarify the content and make any last minute changes that help them communicate better. None of these people are professional coaches. But they can each help us become better, more professional speakers, and presenters. Formal coaches though, can help you have a more long-term effect. 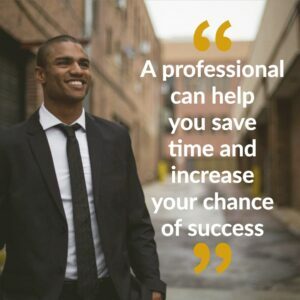 A professional can help you save time and increase your chance of success. The reason why is that the area that they are coaching you on is what they specialize in.For instance, when people come through our classes, they are receiving one-on-one coaching from people who are both professional speakers and who train hundreds and hundreds of people every year. Whatever challenge that you are having, there is a good chance that these professionals have seen it many times. A good example of this occurred with my son and I last year. My son absolutely loves baseball. (He loves any type of sport with a ball, but baseball seems to be his favorite.) His Little League manager hired an ex-Major League player to come and give the kids some tips. Now, although I like baseball I've never been a big MLB fan. I had never heard of this guy and neither had any of the kids. Although he had made it to the majors for a few years, he was by no means famous. However, he has spent the last 20 years coaching 11 to 14 year-old kids and he was phenomenal! The kids learned more in that two-hour hands-on session than they had in years from the "dad coaches". The results were there because this coach had trained hundreds and hundreds of kids that age. He knew before he even got to the field the three to four major things that the kids needed to improve upon to increase their skill. And once he saw a few of them on the field, he was able to fine-tune the delivery to the specific needs of this group. A Good Communications Coach Can Do the Same for You. A good communication coach can do the same for you. Fortunately, we have over a dozen of the best public speaking coaches in the world on our staff. And you can set up a time to work with any of them very easily by just registering for one of their classes. To see a list of all of our upcoming sessions, just visit fearlesspresentations.com and look for upcoming classes.